Zurich is situated at the heart of Europe and forms the cultural and economic centre of Switzerland. This lakeside metropolis with views into the Swiss Alps is the largest city in Switzerland and has a population of about 400 000 inhabitants. 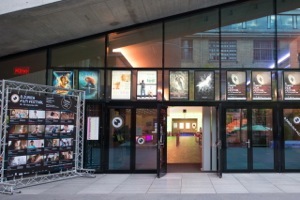 As Switzerland’s cultural and economic metropolis, production site and base for numerous producers, distributors and filmmakers, Zurich offers the perfect environment for a film festival. 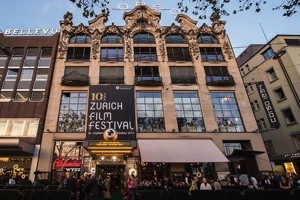 Over the course of eleven days, in the city with the world‘s highest concentration of cinemas, the Zurich Film Festival presents film premieres from all over the globe, offers cinematic treats to a national and international audience and facilitates direct on-the-spot exchange with the filmmakers. Zurich is not only a favoured production site, it is also highly regarded by visitors for its cultural and gastronomic diversity and the countless opportunities for repose and relaxation it has on offer. 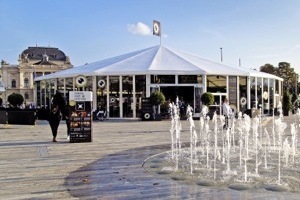 Enjoy the Zurich Film Festival and the City of Zurich! Running frequently, the city is 10 minutes away by train (e.g. S2, S16, S24), 20 minutes away by taxi or by tram 10. There are several car parks around the Festival centre. You can also get a parking permit for the Blue Zone. Find more information and timetables at zvv.ch or use the timetable below. 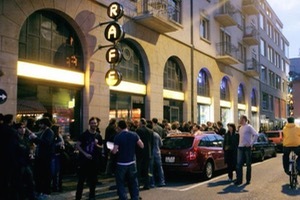 Zurich’s Bellevue, situated in the heart of the city and on the shore of Lake Zurich, is the hub of festival activity. 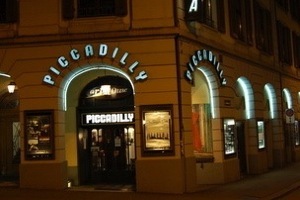 In addition to the festival cinemas Corso, Arthouse Le Paris and Piccadilly, it is also the location for the Festival centre and various bars and nightlife venues. 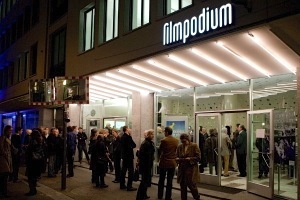 All Zurich Film Festival events are in close proximity to a public transport stop so take advantage of the tram, bus, city train, or Limmat ferry for all outward bound and return journeys. There are countless options for accommodation situated around the festival site. 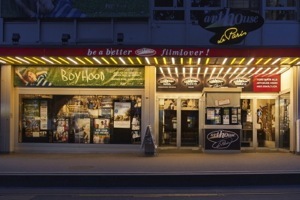 The cinemas and various festival locations are easily accessible via public transport or on foot. Further information regarding accommodation can be found on the Zurich Tourist Office website. The Baur au Lac has the discerning tastes of its guests to thank for the leading position it has maintained for more than 165 years in the international luxury hotel industry. Set in its own park in the cit center, the hotel enjoys a unique location overlooking the lake and the Alps. Nine carefully refurbished townhouses create a distinctive style in which you can discover the new in the old, the old in the new. Every room is individually styled. The fusion of historical architecture and innovative modern design creates a relaxed ambience with real character. The Dolder Grand is the perfect environment for people who are looking for pleasure, exclusivity and relaxation. The original “Curhaus” dating from 1899 presents itself anew as the luxury-class City Resort. The hotel's elevated location, between the pulsating life of the city and a refreshingly natural green zone, provides a magnificent view of the city of Zurich, the lake and the Alps. 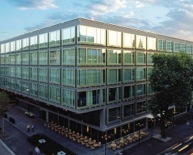 Encircled by the prestigious financial institutions of Paradeplatz Square, the Park Hyatt Hotel affords effortless access to the fashionable boutiques on Bahnhofstrasse, the scenic beauty of Lake Zurich and the captivating attractions in Altstadt (Old Town), the Congress Hall and Opera House. The Hotel Ambassador à l’Opéra is located directly next to the world-famous Zürich Opera House – in the midst of the hustle and bustle of the city, where life is played out, the culture and art scene captivates, and the business world pulsates. Just a stone’s throw from the picturesque lake shore, amidst this very special ambience, you will find an oasis of tranquility and relaxation. 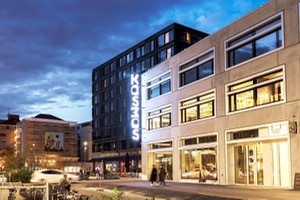 Discover Zurich with this centrally located hotel in Zurich’s district Sihlcity, which is part of the urban entertainment center Sihlcity with the Festival cinema Arena. Built on the grounds of the former Sihl paper mill, parts of the Four Points Sihlcity Zurich consist of listed buildings from the old mill. A unique symbiosis of modern architecture and nostalgic industrial history. From the hotel Steigenberger Bellerive au Lac, the guest will enjoy the view of Lake Zurich and the city centre which is a mere ten minutes away. The small boutique hotel with its spacious rooms and suites is comfortably furnished. Immerse your senses in the history of a former brewery now artfully transformed into a hotel. Relax in the rooftop spa pool with the city of Zurich at your feet. 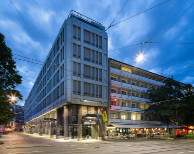 25hours Hotel Zurich Langstrasse is located close to Zurich's main station at the intersection between the traditional district of subculture and night owls and the dignified Eurogate. The hotel regards itself as a small, independent universe where the worlds and cultures of art and finance converge. In the middle of Zurich there is a breeze of British style – and of football. When you know that this popular sport has its modern origins in England, both come together in a harmonious mix. 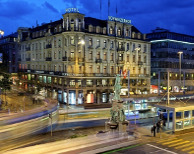 The highly traditional Hotel Schweizerhof Zürich is directly opposite the main train station. Right where the famous car-free Bahnhofstrasse of Zurich starts: Just a few steps away you enter the world of exclusive shops and banks, and can admire the most attractive sights of Limmatstadt. 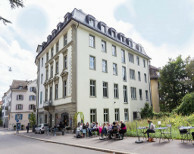 PLATZHIRSCH Boutique Hotel is located in the very heart of the historic and picturesque quarter Niederdorf, in the city center of Zurich, in a prestigious house built in the year 1879 in neoclassical style. The pleasant 24 room owner-managed boutique hotel with award-winning Swiss Made design and Ligne Roset furniture provides a perfect base for all your leisure and business stays in Zürich. Casually luxurious, modern and historically protected, this property gives visitors to Zurich a taste of the old, a twist of the new and a whole lot of charm. 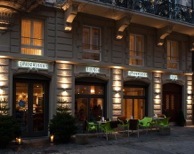 Located in the historical area of Zurich, a short walk from Bellevue square as well as the Kunsthaus, just within one reach of the busy financial centre and surrounded by few of the best and most interesting restaurant and bars, vibrant cafes and most exciting theatre, nightlife and shopping. Only a few steps away from Lake Zurich and the Opera House, amidst the trendy Seefeld neighbourhood with countless bars and restaurants for the food lovers, you will find the stylishly furnished Hotel Seehof Zurich. 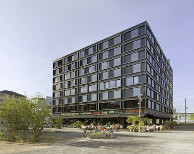 The Design Hotel Plattenhof with its 37 quiet rooms lies in the heart of Zurich, tucked away in the quiet university neighborhood and only 10 minutes walking distance from the picturesque old town and the lake of Zurich. Museums, theaters, the opera, the university hospital, the ETH and a vast selection of restaurants and cafés are located in the area. The centrally located, stylish apartments with service offer a cost-effective alternative to traditional accommodation. The apartments are fully equipped and have their own kitchen. Additional services such as WiFi, TV and weekly cleaning are included.